Tomorrow morning we head to my childhood home in Mississippi to attend my 30th high school class reunion. We’ll stay at my parent’s house out in the sticks. Tama will be paid in eggs for her services as my chicken sitter. I hope the girls are generous. 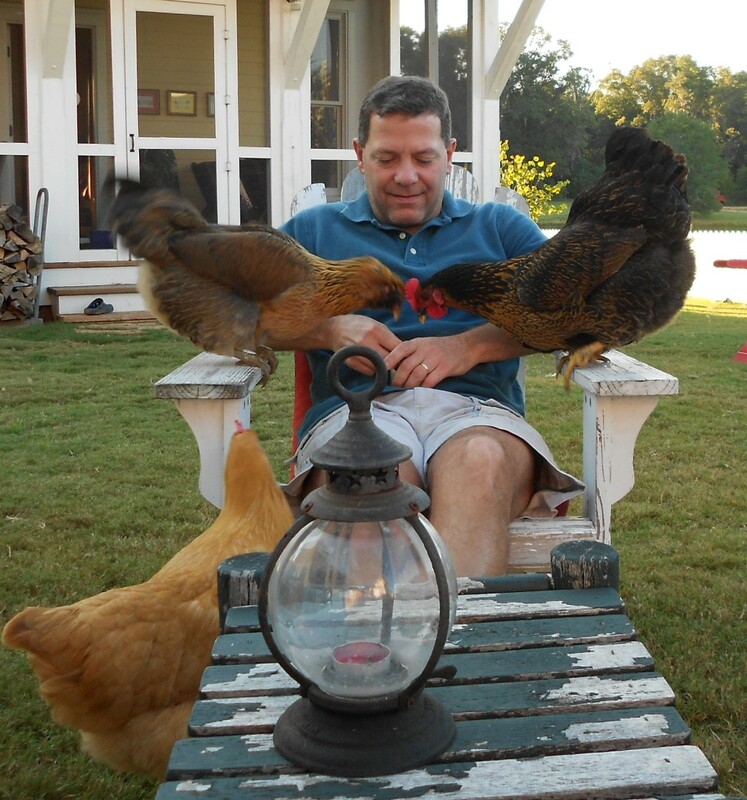 My dad has about 30 Rhode Island Reds, so I will do a remote chicken diary from Talowah Road featuring his flock. Shhhhhh don’t tell the girls! In the meantime, I will leave you with some charming pictures of Jim taking his turn at the grape distribution. 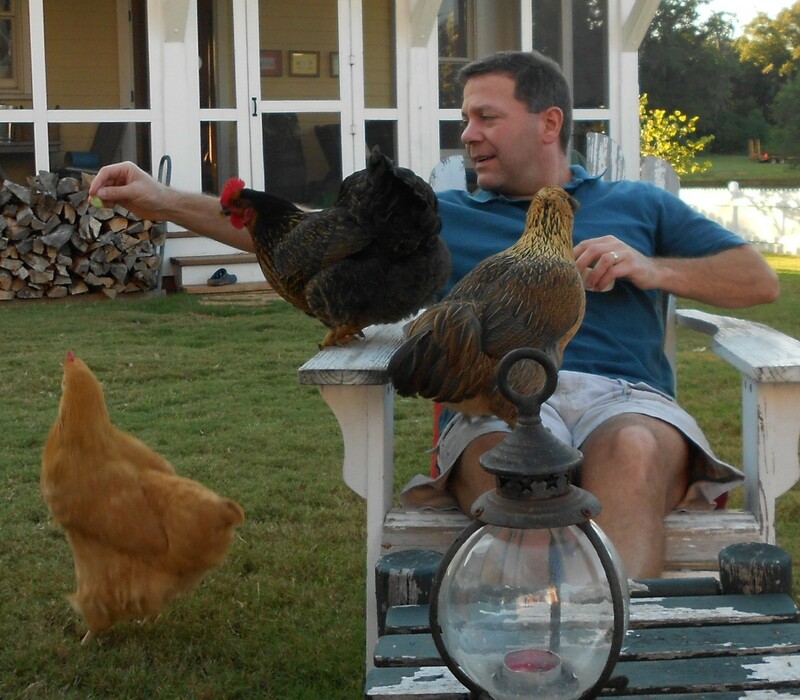 As I was taking these pictures he said, “This better not end up in the chickendiary!” Poor Jim. 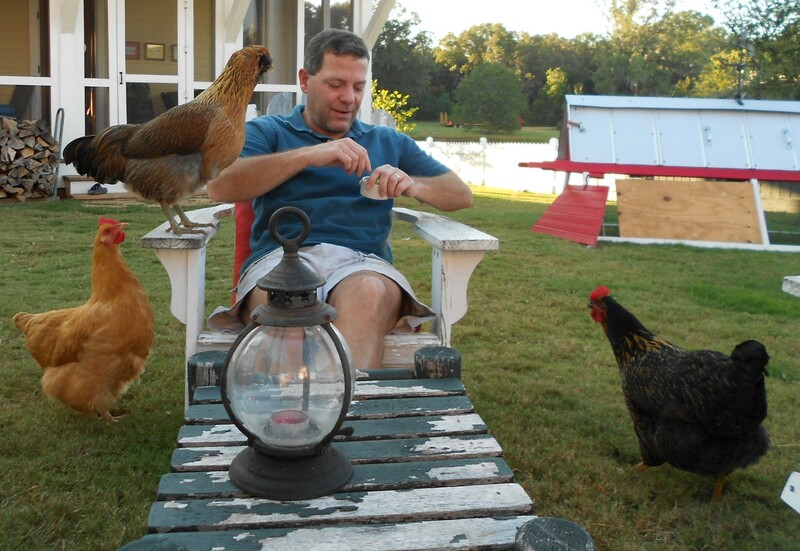 Watch where you're pecking ladies!!! Jim really does know how to party!